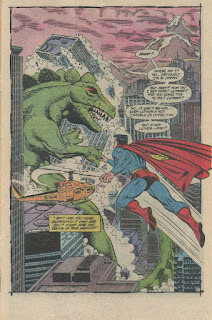 I've been on a nostalgia kick for quite a few months now, and it's been great. 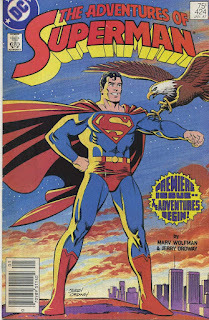 Reading classic comics, watching old movies and television shows, stuff that I loved, and still love. 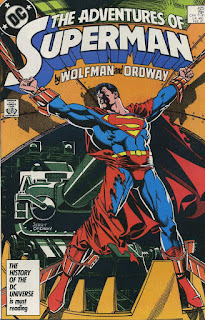 And, surprisingly, a lot of this holds up well, upwards of thirty years hence. In 1986, DC had a big initiative--post-Crisis on Infinite Earths, through the use of the Legends miniseries--restarting many of their trademark comics, including the Flash, the Justice League, Wonder Woman, and Superman. 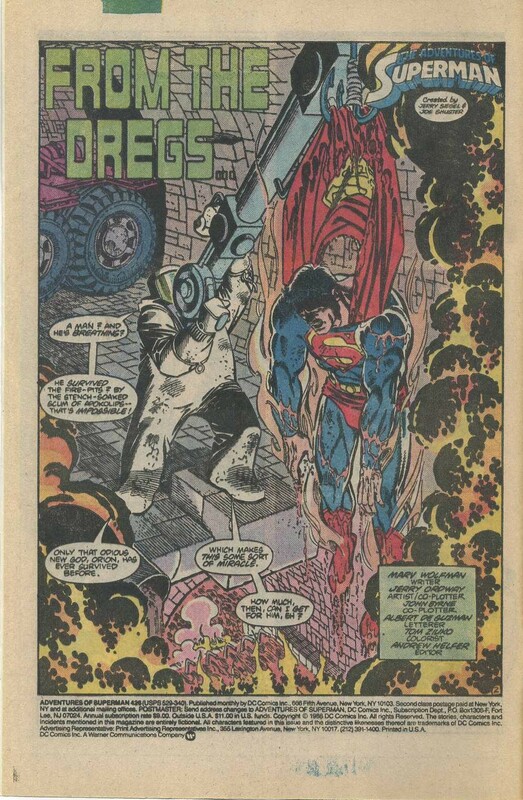 DC hired some well-known writers and artists to revamp many of these titles, along with some lesser-known creators, and, for me, it all worked amazingly well. 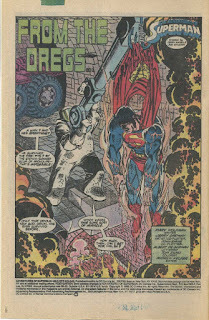 I did a purge of my collection years ago, and, for the most part, all of these titles stayed in the longboxes, a combination of nostalgia and the staying power of these books. 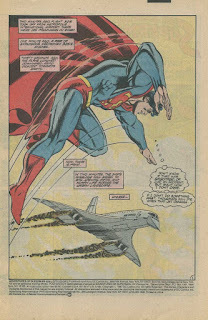 Of course, the flagship character for DC comics, and some might argue for comics in general, is Superman. 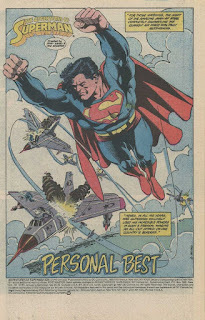 And the Man of Steel was not exempt from the revamp. 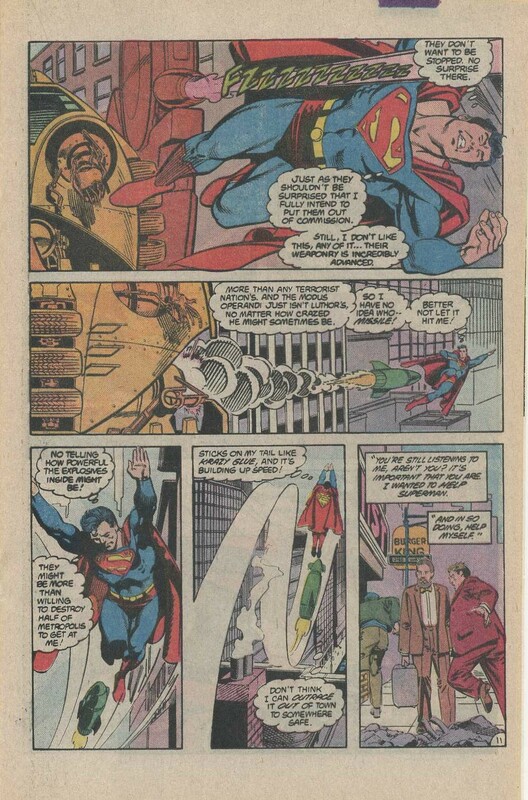 DC went all-in, hiring John Byrne--if not the most popular artist working at that time, he was at least in the top 3--away from Marvel Comics to herald their prime character. 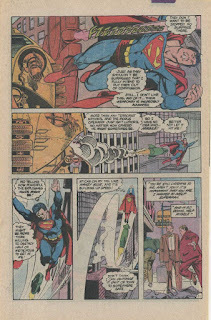 Byrne took over Superman, rebooting with issue #1, and Action Comics, the title that started it all. 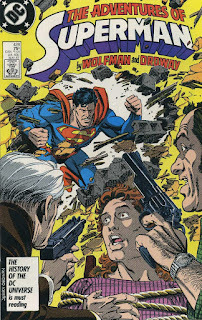 They were good, at the time, but the luster has dulled on Byrne's comics, for me. 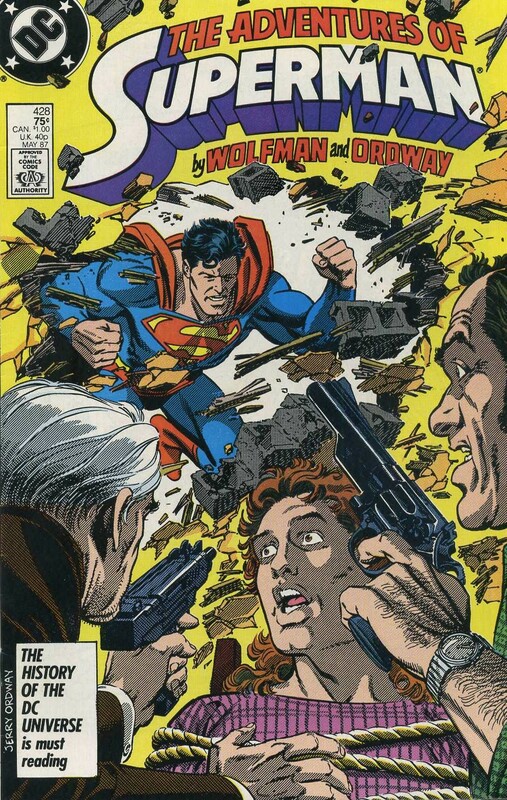 I tried reading some of these, and just put them aside without completing a single story. 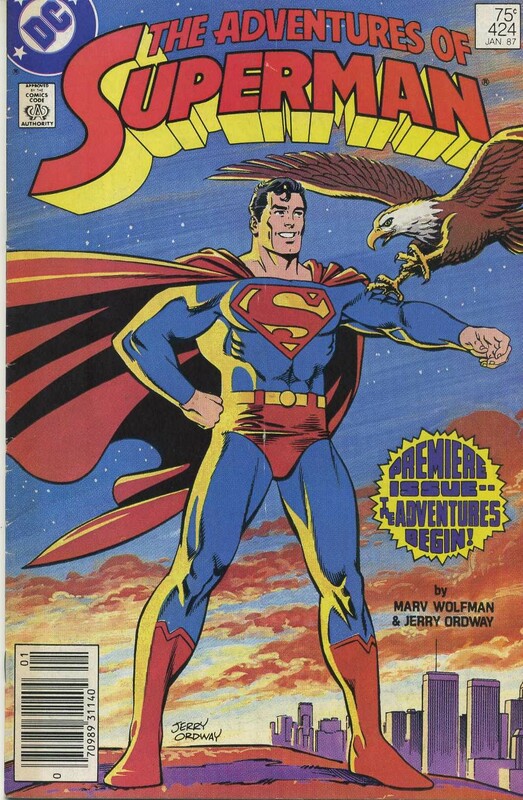 But the third title--Adventures of Superman--from writer, Marv Wolfman, and artist, Jerry Ordway, has been a fun title to revisit. 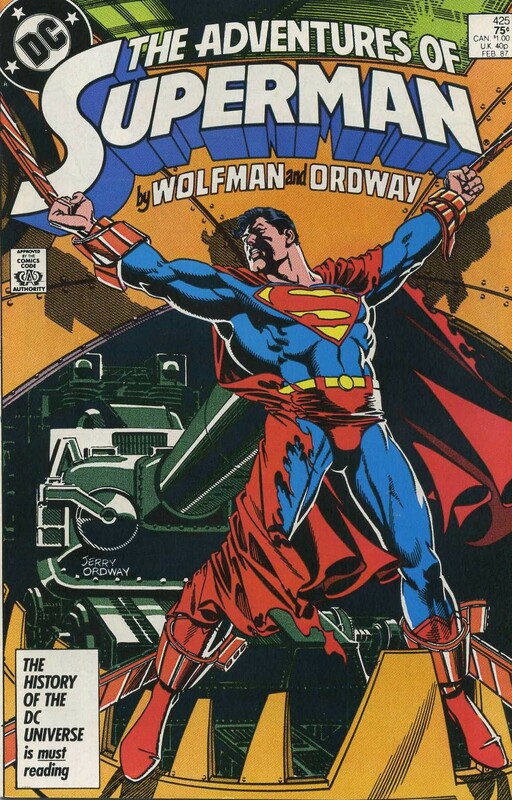 The stories are fun, and Wolfman's exposition goes down far more easily than Byrne's, but the biggest take away, for me, has been how much I appreciate Ordway's rendition of Superman (and, in general, Ordway's rendition of any comic book hero). 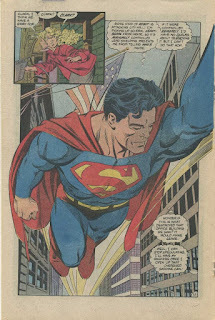 He, like my favorite Superman artist Jon Bogdanove, draws a muscular, bulky Superman, but one that feels anatomically correct, who does not overwhelm the panels too much (he needs to overwhelm a little, come on, he's Superman). 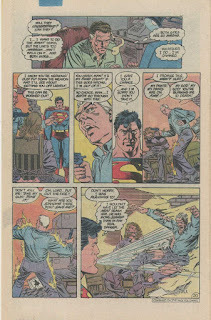 Also, Ordway never skimps on backgrounds, and despite having some high-panel pages, the storytelling remains clear and crisp, with none of it becoming muddled in the art. 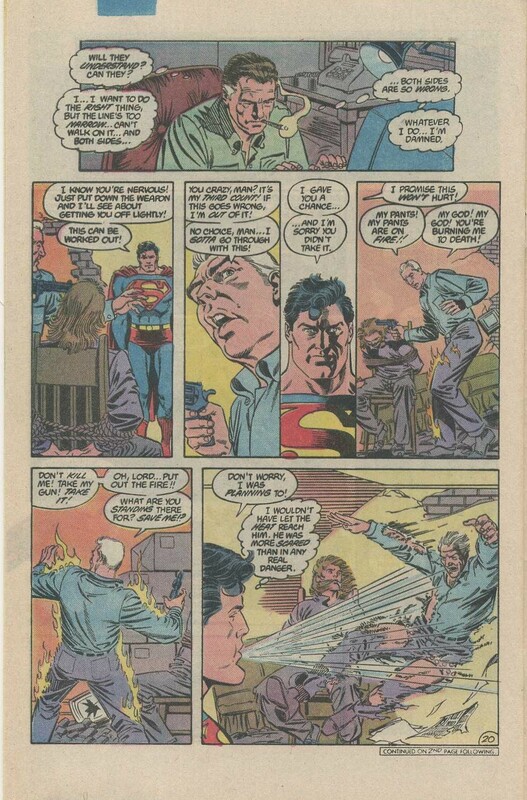 It's a master class on comic storytelling. 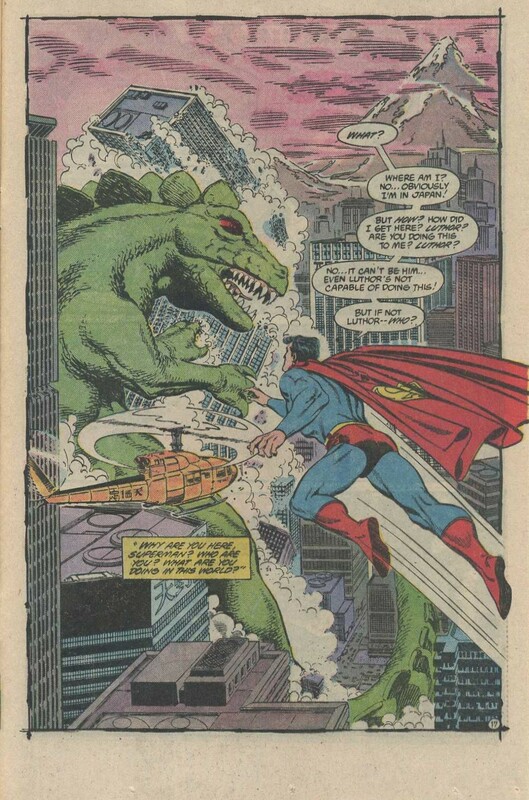 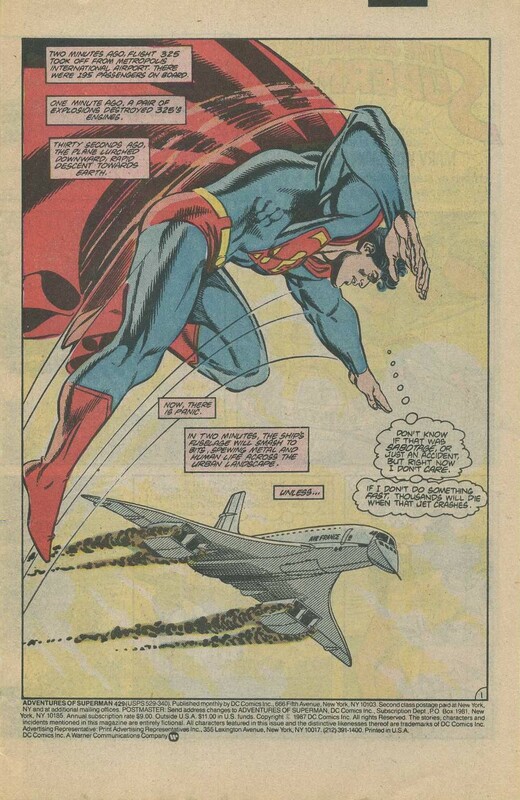 Byrne has become a legend--making his name in the 80s alongside George Perez, Frank Miller, and Walter Simonson, as the four big names working in comics at the time--but, for me, Ordway will always be the man when it comes to rendering the "new" Man of Steel for DC Comics in the middle of that decade.